New York real estate tycoon, Matthew Starr, plunges to his death during a Manhattan heat wave. The suspect list begins to rise, but each one comes equipped with an alibi. Police detective Nikki Heat isn’t buying any of them. Someone killed this man and she intends to find out who the culprit is. Upon learning that Starr might not be the tycoon everyone thought, Heat stumbles on some very suspicious things, including the victim being in debt. The one thing holding back her investigation is journalist Jameson Rook. Rook has been assigned to follow Heat and her fellow police officers for research purposes. Heat resents his presence, but Rook is friends with the mayor leaving her no choice in the matter. 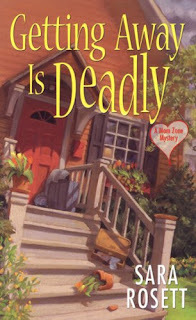 She not only has to investigate the murder, but she has to protect Rook from getting hurt. When her own life is in jeopardy, all bets are off. 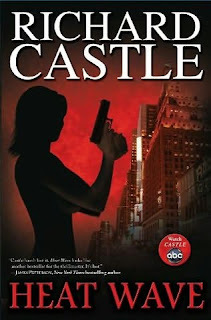 Based on the hit ABC TV series Castle, Richard Castle pens the first Nikki Heat book and it’s a good one. It’s a cute gimmick by ABC to have the lead character release an actual book that has been featured on the TV show. I did feel like I was watching an episode of the show as I read this. It’s a one sitting book. It’s fast-paced and has a great cast of characters. Now, if I can just figure out who actually wrote the book…I’m wondering if it could be James Patterson. He’s been on the show and this is his type of book. This is from "Night's Edge". It's an anthology with stories by Maggie Shayne, Charlaine Harris and Barbara Hambly. I just started reading it, but it looks perfect for Halloween. She was nervous about being alone with the vampire. He was waiting for her, just as still and silent as he'd been two nights before. As a precaution, she'd worn a cross around her neck, tucked under the old gray leotard. Do you take notes while reading – either for your reviews or for yourself? How/where do you make these notes (on the page, post-its, scrap paper, notebooks etc)? No, I don't take notes. When I write reviews, I do them while I still have the book and I just go back through the pages and look for things. Basically, if I write the review right after I read a book, I can do it from memory. I prefer writing my reviews when the book is still fresh in my mind. This is part of Harlequin Blaze’s mini-series “4 Encounters” which gives us four romance stories in one book. This book is based on my favorite sport, baseball. Hot headed Boston Ace’s catcher, Brody Davis, broke up with Naomi over the phone while his team was on a road trip. Although she never planned to get involved with him again, she has a change of heart when she runs into the handsome baseball player. Will her heart lead the way back into the man’s arms? New York Scrapers’ shortstop, Lance Montero, does his best to avoid the media. He never thought he’d meet someone who was in the media just as often as he was. The beautiful Jamie is an heiress who never thought a baseball star would catch her eye, but she’s immediately attracted to Lance and has no intentions of letting him go. Chicago Flames’ baseball star Javier Velasquez parties too much off the field. Enough that the owners of his team are nervous. The team’s trainer, Lisa, agrees to help find out what’s bothering Javier, but she didn’t expect to fall for the guy herself. Atlanta Rebels’ first baseman Rick Warren has fallen in love. Unfortunately, it’s with his boss’ daughter. This can’t be good for his career or the team. When he demands a trade, Delaney is furious and hurt. She’s ready to push the guy out of her life forever, but it’s not quite that easy. The sparks are flying all through the pages of this book. The entire book is 211 pages, which means each story is approximately 60 pages. Although, I loved all the characters, I would have liked to see each couple with their own book. I think there was enough story for each of them. This is a quick read, with very hot love scenes. This was a tough one, but I'm choosing Janet Evanovich. She writes the Stephanie Plum mystery series. For those who aren't familiar with the series, there are 15 books in the series, plus a couple of shorter books to tide us over until the next full length book is released. Stephanie is a bounty hunter with an interesting love life - two men. She's torn between them (and so are the readers). My question to her would be, do you have a preference between the two men in Stephanie's life and do you have any idea who (if anyone) you will have Stephanie paired with when the series comes to an end (which I hope isn't any time soon). One more question - There's always been talk about making the series into a movie, who do you envision cast in the role of Stephanie? The roar of thirty-thousand fans during the playoffs. The flash of police lights in the rearview mirror. And a nearly naked woman prancing purposely into his line of vision. "Sliding Into Home" by Joanne Rock, page 171. Harlequin Blaze #486. Are you planning on participating in the upcoming 24 Hour Read-a-thon (either as a reader or cheerleader)? Have you made any preparations for the event? And, veterans out there, any tips you’d like to share with the newbies? Nope. I have no plans for it. I don't think it's for me. I just don't have the time to devote 24 hours, plus I'm planning a vacation for the end of the month. I think I took on too many reading challenges as it is. I'm not committing myself to anything else at the moment, but I do wish all the participants the best of luck! This is a wonderful collection of cartoons featuring Simon’s cat. These graphics are priceless and will make all cat lovers feel good. It’s so cute and I can see my own cats doing some of these things. I think all cat people will see a cat they know in these cartoons. 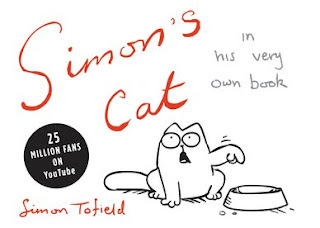 There is also a You Tube channel featuring clips of Simon’s cat. Check out Simon's Cat You Tube Channel. It's great fun! They made me laugh and I think we all need a good laugh sometimes. It’s a great book to help wash away the blues. It now sits prominently on my keeper shelf. I’d love to see another collection of these cartoons. Jane Mansfield wakes up in a strange new world. She sees a small screen featuring characters from what appears to be her favorite Jane Austen novel, “Pride and Prejudice”. She tries to get the characters’ attention, but they ignore her. Jane finds nothing familiar about her current circumstances. When strange people show up calling her “Courtney”, she really is confused. Jane is thrown into Courtney’s life which consists of an ex-fiance who cheated on her, a couple of girlfriends desperately trying to protect her and a good male friend who deceived her. She doesn’t seem to have much trouble fitting in Courtney’s life, as she realizes Courtney must be living Jane’s life in the 19th century. 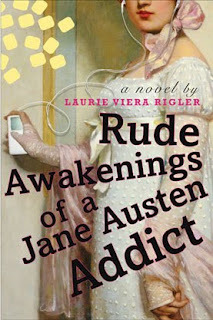 This is a fun sequel to Rigler’s Confessions of a Jane Austen Addict. 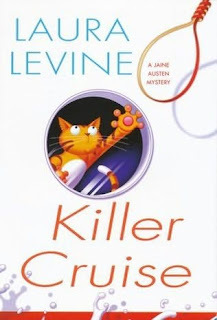 It’s humorous as readers follow Jane around present day Los Angeles as she learns to drive a car and use a cell phone. She even manages to get a job. She quickly learns that the 21st century is much different than her own 19th century London. For one thing, the women wear scandalous clothes on the beach. Jane’s mother would be shocked if she could see her daughter now. I LOL when Jane loses electricity and becomes very stressed out about it. For someone who didn’t even know what electricity was just a few days prior, she sure got used to having it. I listened to the audio version and I may want to read the print version someday. I liked how this book flowed and I enjoyed the storyline. It was a nice escape. 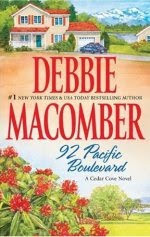 92 Pacific Boulevard is Debbie Macomber’s latest visit to Cedar Cove. All of our favorite characters are back with stories to be told. This time we pay a visit to the home of Sheriff Troy Davis. The sheriff is still pining away for his beloved childhood sweetheart, Faith Beckwith. In a misguided attempt to protect his adult daughter, Troy broke up with Faith but he has regretted it ever since. Faith now lives at 204 Rosewood Lane where she is renting Grace Harding’s home. When a series of break-ins occur, she seriously considers leaving Cedar Cove once and for all. These weren’t mere break-ins, they appeared to be personal and directed at her. Troy vows to protect the woman he loves, as well as win back her love. It doesn’t take long before he realizes the biggest mistake of his life was letting this beautiful woman out of his life. We also get a chance to see how Mary Jo Wyse and her newborn baby, Nicole, is faring. Mack McAfee is still part of their life and he’d like nothing more than to make it permanent. Mary Jo’s fear that her daughter’s father, David Rhodes, will take the child forces her into a decision she never would have made. 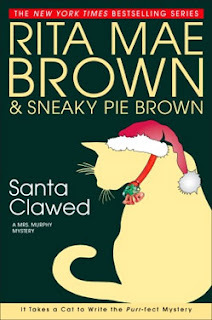 Debbie Macomber brings back beloved characters and adds some new ones to this delightful series. I’m finally all caught up and now have to wait until September 2010 before I can read the next installment of these books. I’m never disappointed with the Cedar Cove books. They always make me smile. I'm so honored to receive this award from Booklogged at A Reader's Journal Thank you so much! This past week, Borders re-released it’s 100 Favourite Books of All Times. Do you vote in these kinds of polls when they arise? Do you look through the list, or seek out books featured? I don't have much to talk about this week. I'm off to a very slow reading month in October. I have only completed one book 13 1/2 by Nevada Barr and I'm in the middle of reading Debbie Macomber's 92 Pacific Boulevard. 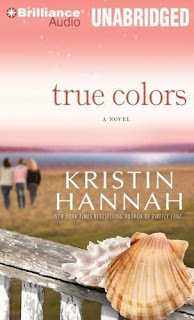 It's part of her Cedar Cove series, which I love so much. I'm still dealing with some medical issues. Because of the medical stuff, I seem to be more in the mood for TV lately than reading. I'm addicted to Juliana Marguilies new series "The Good Wife". I didn't think I'd like it, but I'm hooked. I'll be happy to finish 3 books this month. It's not going at all the way I planned for this month, but since this is supposed to be fun, I won't sweat it. 1. Sweet dreams for everyone. 2. It's nice that the work week is over, especially for me. 3. Silliness is fun and makes you smile. 4. I'm going to Florida this Halloween. 5. Outstanding or not I'm happy the weekend is here. 6. Sleep is what I want right now! 7. And as for the weekend, tonight I'm looking forward to resting, tomorrow my plans include grocery shopping and catching up on TV and Sunday, I want to get some more rest and catch up on my reading! The 1970’s was a turbulent time for two families, the Farmers of Mississippi and the Raines of Minnesota. In one horrible act, Dylan Raines destroyed his family. He cold-bloodedly murdered his parents and baby sister, earning him the nickname “Butcher Boy”. The only one he left alive was his beloved brother, Rich. At only 11 years of age, Dylan had been sent to jail. Despite the entire town hating Dylan, Rich still loved and took care of him. Fifteen year old Polly Farmer had been abused by a drunk mother, as well as the various stepfathers. One day, Polly reached her limits and ran away from home. She headed to New Orleans and made a name for herself. Thirty years later, she was a successful teacher with two young girls. In 2007, Polly makes her home in Louisiana with her two girls. She had been divorced a few years before and thought the last thing she need in her life was a new man. Then she meets the handsome Marshall Marchand, a successful architect. After a whirlwind romance, Marshall and Polly marry. It’s not long before Polly realizes things aren’t as they seem. She desperately seeks answers and gets a dire warning from a tarot card reader. Polly races against time to protect her beloved daughters of the fear that history could repeat itself. This is a spine-tingling story that will keep readers at the edge of their seats. The characters are all well written, especially the tarot card reader. The story takes so many twists and turns, it will make your head spin – in a good way. This is the first book I’ve read by this author, but it won’t be my last. 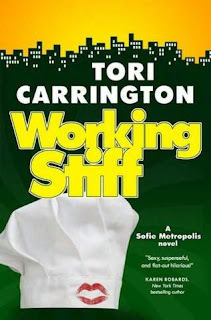 Unbridled by Tori Carrington (Blaze) - Loved it! The Recipe Club by Andrea Israel and Nancy Garfinkel (review) - Loved it! Right now I'm reading 13 1/2 by Nevada Barr and it's really a good book. It's intense and has me captivated. Booking through Thursday - Would You Lie? Lie? What's the point in that? I don't really see the necessity to lie about reading a book. Maybe way back in high school I might have lied and said I read a book for a homework assignment and didn't. LOL Now, as an adult? No, that just doesn't make sense to me. What if someone asked me about the book? How would I be able to respond? Nope, this is supposed to be a fun hobby for me - no point in lying about it.